Strange, glowing symbols are appearing all over the world and one reporter is determined to get to the bottom of it. When an assignment from her editor leads to a mysterious adventure, Cathy must follow a trail of clues and riddles to uncover the truth behind the ancient runes. Travel to fantastic locations alongside Cathy as she searches for answers among the Hidden Objects. It's up to you to see that Cathy gets her story in Journalist Journey: The Eye of Odin. Help Cathy get the story! 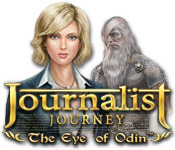 Journalist Journey: The Eye of Odin is rated 3.8 out of 5 by 8. Rated 5 out of 5 by Nikoal048 from Journalists Journey:Eye of Oden I Loved playing this game!! I purchased it right after I played the 1 hour free trial! I think others will enjoy it also. Rated 4 out of 5 by mrm2006 from Glowing Symbols, Mysterious Runes, A Plane Crash and ?????? Well, that's the part you have to find out - the "what" part. You are a journalist who has somehow stumbled upon the story of a lifetime. You begin by following the runes found and, after a Professor schooled in the Arts of Language tells you to get more information at a plane crash rather than from him. Well, off you go. End of demo. This is primarily an HOG game. You visit individual sites (sometimes several times) and do an HOG, followed by a mini game. HOGs are difficult because the scenes are dark, monochromatic and the items tiny or impossible to see in the miasma of junk piled items. Mini-games were all fairly easy. I was surprised that I got my personal "wow" factor when the demo ended because during the first 1/2 hour or so I thought I'd die of boredom if this was all the game was about (monotonous verbose dialogue that you read - no voiceovers here - that you can't click through or skip because you'll miss the story - and some clues). Hint takes forever and a day to recharge. I'm on the fence about this game. Maybe if it turns up as a daily special I'll give it a go. Seems like a lot of locations to visit so decent length. I encourage everyone to try it at least for the free hour-long demo. Who knows? Maybe there's a little sleuthing in your blood - lol. Happy Gaming! Rated 4 out of 5 by Hookedonbigfish from A good enthralling straightforward game This game I found to be a good enthralling straightforward game with nothing out of the ordinary and nothing really challenging about it. Kathy must solve the mystery of strange symbols that are appearing all over the world and she must follow the trail of clues and riddles to uncover the mystery of the runes and the Eye of Odin. The dialogue which is all written - no voice overs - seems a little tedious at times but having said that, none can be sucessfully withdrawn without distracting from the continuity of the game. The graphics are very well drawn, clear, precise and colourful with the exception of one or two scenes which are just a tad dark in places. The puzzles, for want of a more simpler word are not that challenging, eg following shapes with the cursor, memorising sequences to send text messages and the taking of pictures of various positions of a scene, other than that there is not much else. 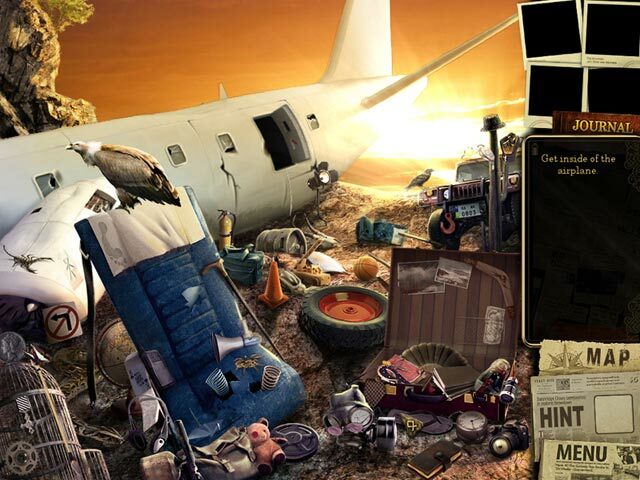 The hidden objects, of which there are many, are the usual conglomeration of junk piles but most of the items present some challenge to locate. A good interesting game without being too stressful or challenging - just relaxing fun. Rated 4 out of 5 by rosekaufmann from HEAVY ON HOS; LIGHT ON PUZZLES As a journalist, investigate the strange glow in the sky and shining symbols appearing on walls. As part of your investigation process, solve HOS (easy playability), take snapshots of important discoveries at various locations, trace ruin symbols and send telephone messages. Nice game - heavy on the HOS; light on the puzzles and mini-games. Nicely-detailed graphics. More than 20 locations with a journal to document your investigation. The map is interactive and push pins sparkle on the active sites. Rated 4 out of 5 by EnvirEng from Pleasant Fun--Not too Challenging This is a nice, pleasant Hidden Object game with some interaction and Adventure. Good length. You play a journalist following the story of the century. You are, basically, searching for Odin's Eye. Strange, hooded men show up, etc. There are LOTs of well done HO scenes. All but two are well-lit. The scenes are scattered junk piles, but not too cluttered. They are on the easy side and require minor interaction (look in the bird's nest#. The graphics of the HO scenes are very well done. The cuts scenes are good. There is a good bit of dialogue--text only, no voice overs. You can skip the cut scenes but you can't click through the text. I am a fast reader and it seemed to take forever to get through it all. If you skip button, the game skips all of that scene's dialogue and you don't know what happened. Music and sounds ok. There are some 'mini games,' and I use that term loosely. Take certain pictures, remember and dial certain numbers on the cell phone, trace symbols. All easy. On each level, after you've completed the HO, there are certain tasks to perform. There are lots of locations on the map and sometimes you have to go back to an old one, #which one is indicated# to get something to solve a problem in the current level. This is very basic problem solving with lots of hand holding and sparkles. Overall, I really enjoyed this game. It was well done --obviously and older game-- and didn't require any heavy lifting. While there was a murder or two and hooded cult members, it wasn't scary or depressing. I found it to be relaxing. You might want to give it a try. Rated 3 out of 5 by neilskinut from old type of HOG No voice over. Graphics are fair. Music can drive you crazzy. The HOS are old school and easy but hard to see because of the light and not full screen. Hint button works but not needed. Have different types of HOS which is different. Not too much for adventure. As I said old type game. Something to do. Demo is about all you want to do. Rated 3 out of 5 by Laflamme from Look for Odin's Eye in a basic IHOG Review based upon completion of the game. You play a journalist who investigates a aurora borealis and runes that pop up all over town. How is Norse mythology linked with those occurances? The Good: + story is okay (although there are some glitches in it) + little used minigames... (runes, photographs) + ...that make sense in the context (although the mobile texts game does not) The Bad: - some items tiny and not true to size - story glitch: you are stranded on an island, with no way to get back to the mainland - however, you have to (and do) collect items on the mainland, and the "island location" is drawn on the map as "mainland location" Bottom Line: The game is okay, nothing more, nothing less. If you are desperate for a new game have a look, otherwise wait until it becomes a daily deal again. 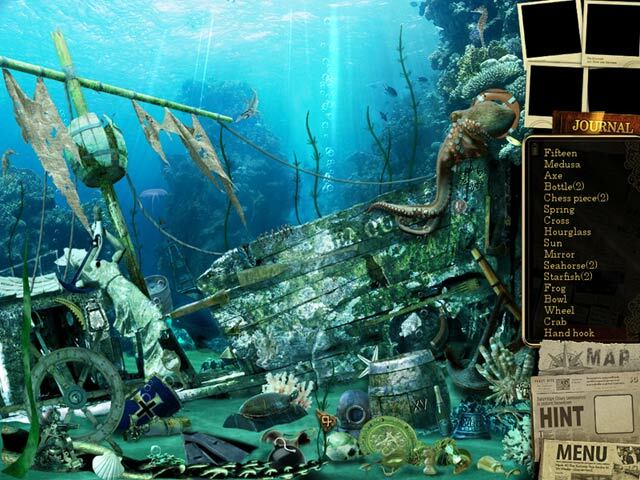 Rated 3 out of 5 by SeaBamboo from Straight Hidden Object This is a straight Hidden Object from Xitex is the sort of game I cut my teeth on when I discovered the genre; each scene is a H0. The graphics & artwork are clear & very well drawn although the scenes are pretty much junk piles. However interest is added as some items are hidden or you have to find one item to interact with another. The music & background noises are not very good but there is an option to mute all. I found that leaving the option fullscreen filled my monitor whereas if I selected widescreen it made the scenes smaller. There is no voiceover & there is a lot of subtitle dialogue which can be skipped; however if you do this you will miss the story. That is no hardship as the story gets more bizarre as the game goes on & it lost all cohesion for me. The hint button takes about 1 min 20 seconds to recharge which is a long time on a straight H0 & there is a loop de loop misclick penalty. There are some pretty easy mini-games & a warning for those of you who find it difficult' sometimes you need to ‘draw’ your mouse on a symbol. I had no technical problems during the demo but some had them with the ‘clock’ scene so I recommend you try out the game before buying. 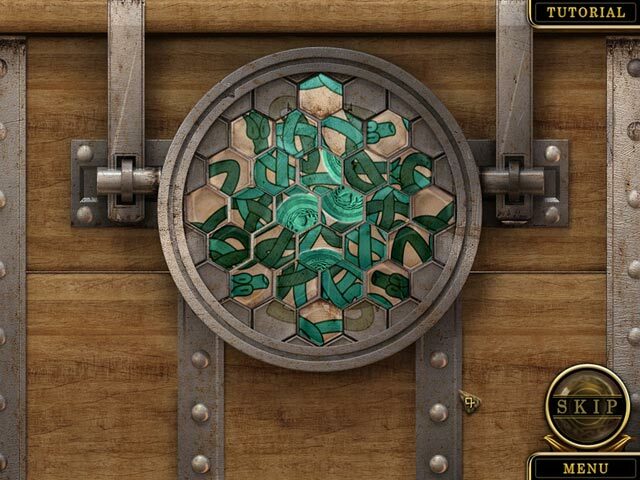 If you enjoy a straightforward hidden object this is a game to try. Strange, glowing symbols are appearing all over the world and one reporter is determined to get to the bottom of it!